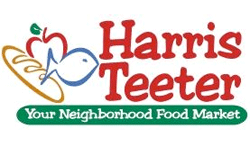 Here’s all the deals from this week’s Harris Teeter Ad starting 10/16. Ground beef (lean), ground turkey, and Perdue ground chicken are all on sale. Plus grab freebies such as TRESemme haircare, Chapstick, and Shamrocks Farm Milk (it’s only a 12 oz bottle but it’s still Free!). If you see any deals I missed, please leave a comment below.